Pour all the ingredients except the soda into a cocktail shaker and shake well over ice. Strain into a highball glass half filled with ice cubes or crushed ice and top up with soda. 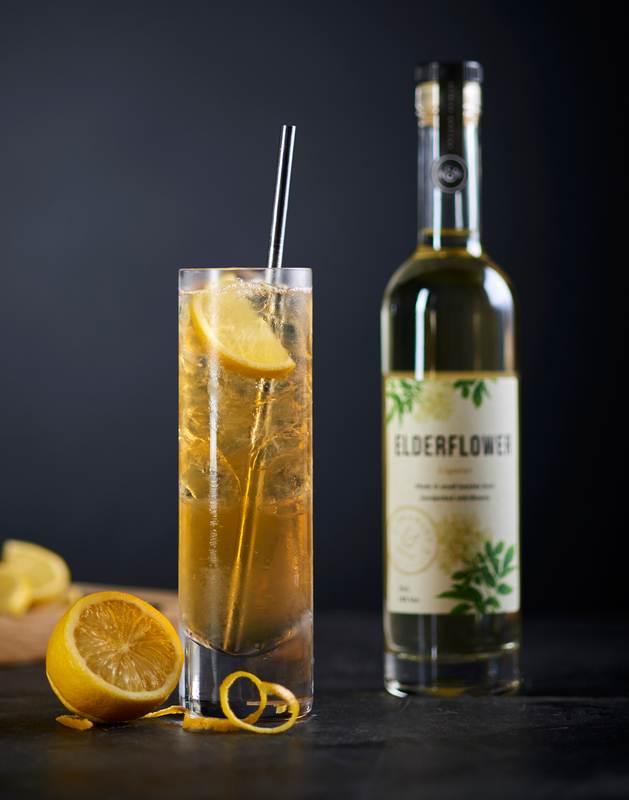 Garnish with a wedge of lemon and elderflowers, if in season.